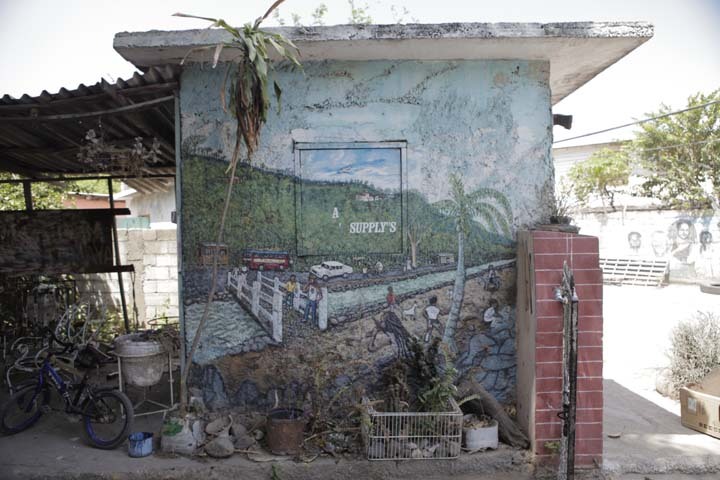 Here is the tenth and final post on the recently concluded Anything with Nothing: Art from the Streets of Urban Jamaica exhibition, a feature on mural artist Anthony Brown. A self-taught artist from Hannah Town, Brown paints highly sympathetic full length memorial portraits and occasionally other community commissions. Most of his portraits have been painted over by the Police. For the exhibition he has painted two portraits and a market scene. Based in Denham Town Robinson is the only artist in the exhibition with some formal art training having spent a year at the Edna Manley College (then Jamaica School of Art). Robinson does a lot of community commissions including work in schools, businesses, and the Wall of Fame near the National Stadium. Jimmy Cliff is one of his patrons and he makes his living exclusively off his artwork. He also has a number of young apprentices. For the exhibition he has painted portraits of Jimmy Cliff and Nelson Mandela and a Reggae Dance. We have recently closed the Anything with Nothing: Art from the Streets of Urban Jamaica exhibitions but are continuing to archive the art and artists in the exhibition. Here is a feature on Andrew “D.I.” Thomas. Based in Waterhouse, Andrew Thomas, a.k.a. Designer Ice or D.I., is a self-taught airbrush artists. He paints memorial murals, images of local celebrities, such as Shelly-Anne Fraser and musicians. He occasionally does work more similar to NYC style graffiti. 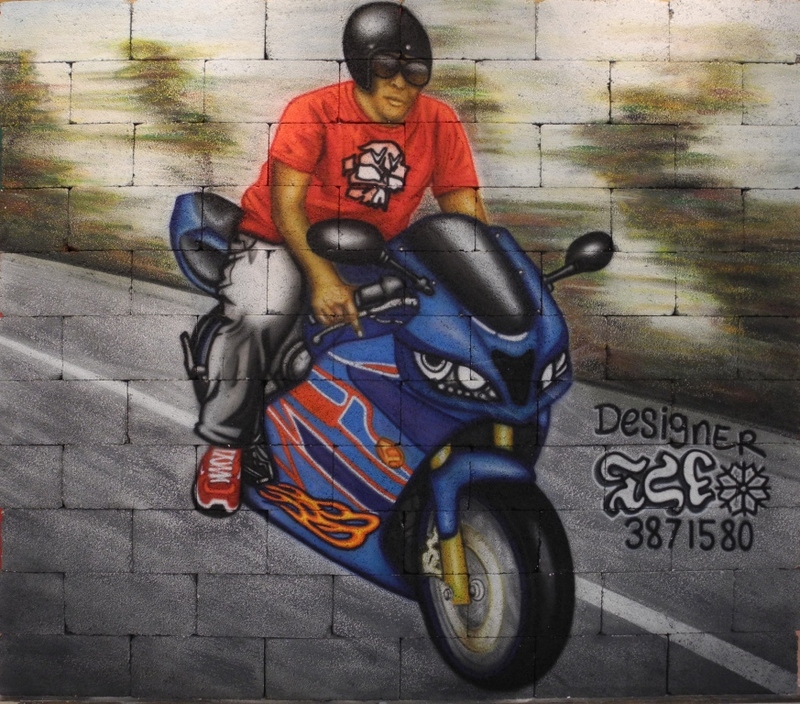 For the exhibition Thomas, painted a man on a motorcycle on a concrete block wall. Ricky culture is another artist in the Anything with Nothing exhibition. Here is a short feature on his work. A Rastafarian artist based in Cockburn Gardens, Ricardo “Ricky Culture” Lawrence does a number of commissions in his community including memorial murals, and murals on bars, restaurants and community walls. His work is supported by King Alpha, a Rastafarian leader in Majesty Gardens who uses Ricky’s murals to help uplift his community. 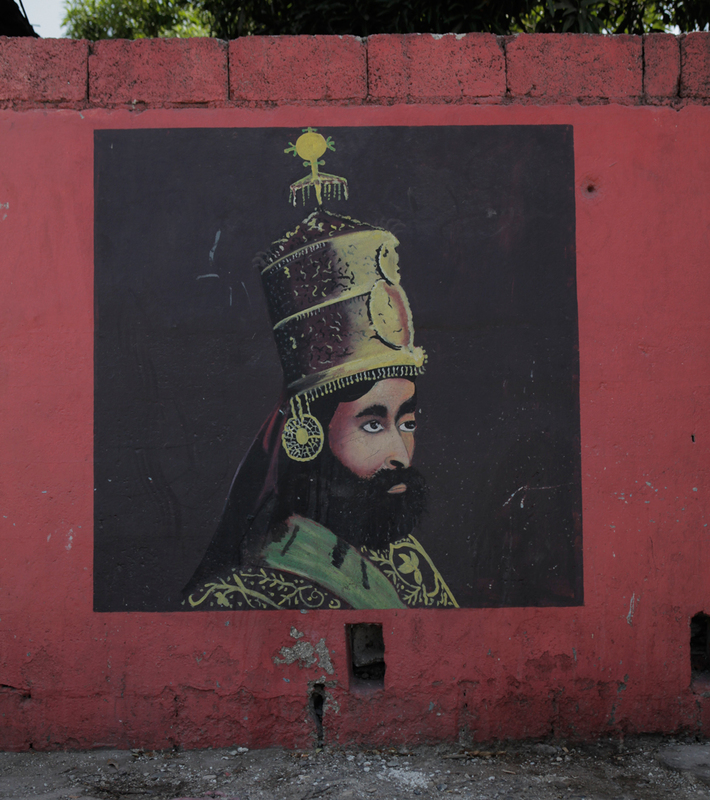 Many of Ricky’s works show his Rastafarian faith. 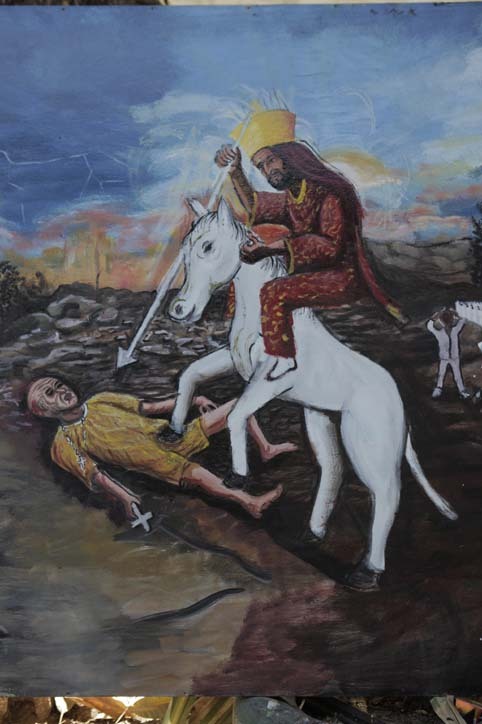 For the Anything with Nothing exhibition he has painted an image of Judgement Day with Selassie’s horse trampling the Pope, a Country Scene and a set of Nyabinghi Drummers. “…for years if someone dies I will do the mural on the wall or if you have any establishment that wants to publish their business I will do the graffiti – the works they do. So it’s a service I’ve been offering the area for many years now, you know. You know how it go in the ghetto you don’t have a job you have to try entrepreneurship – do you own ting. So give thanks for the Almighty that gave me a gift that I can move forward in this hard time of economic crisis – you see what mi a deal wid? T. Earl Witter is the lead artist in a group called the Rastafarian Community Development Movement based in Parade Gardens. 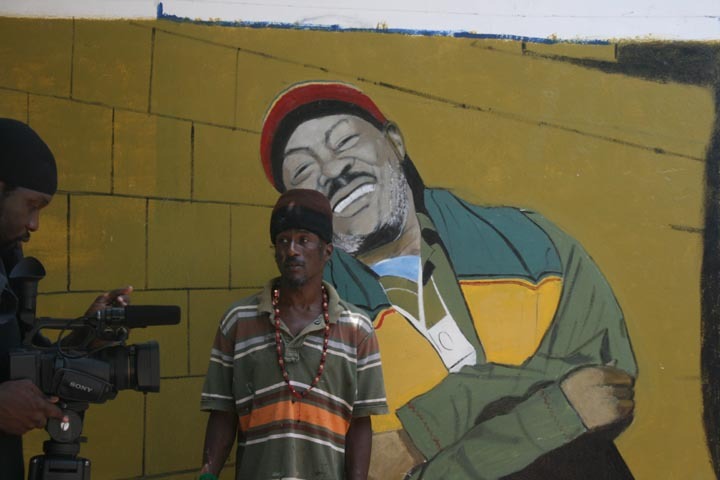 He has stopped painting memorial murals due to police pressure and a desire to present more positive role models and show his Rastafarian faith. He has done numerous commissions including for companies such as Digicel and the Catholic Church. 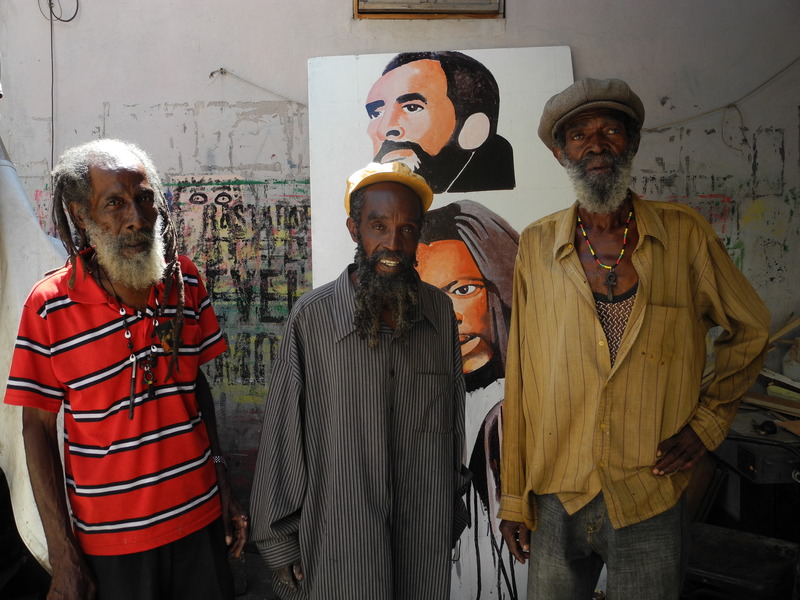 For the exhibition he has painted portraits of Miss Lou and Bob Marley, a Rasta on a Donkey and Shadrach, Meshach and Abednego, a work depicting Selassie and three Rastafarian elders. Donovan “Danny Coxon” McLeod is another of the artists featured in the Anything with Nothing exhibition. Originally from Matthews Lane, McLeod now lives and works at Sugar Minott’s studio. 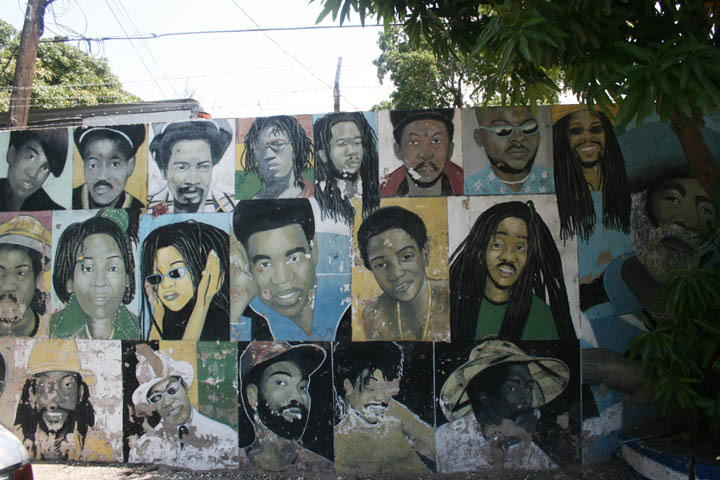 He paints memorial murals as well as commissions for the music industry and has done a large set of murals at Minott’s studios. 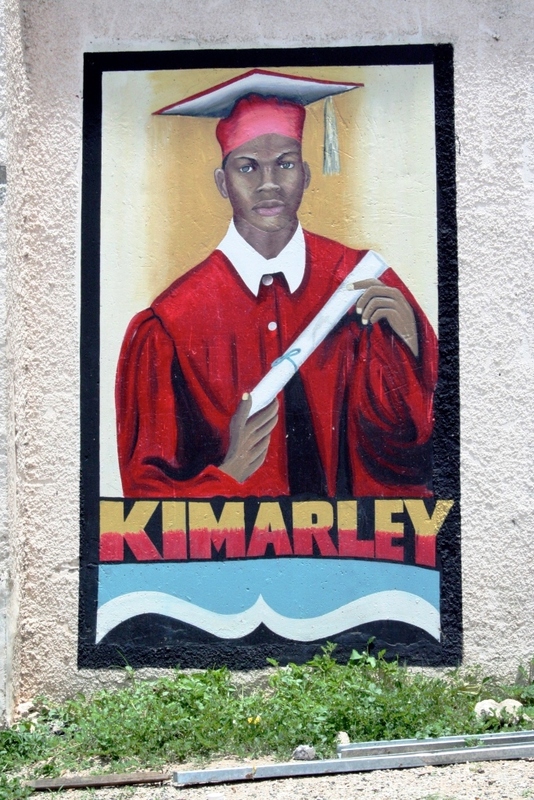 Almost all of his memorial murals have been painted over by the police. His work varies from flat stylized paintings to carefully rendered realistic work. For the exhibition he has painted a number of reggae musicians, Sugar Minott, Denis Brown and Luciano.